Best-Reviewed Programming School in Atlanta. Admissions Open Submit deposit by 4/29 for $250 off. Admissions Open Submit deposit by 7/3 for $250 off. *Dates & discounts are subject to change without notice. Classes are cancelled for holidays. Classes have minimum enrollment requirements, and may be cancelled or delayed at the sole discretion of DigitalCrafts. Status bars may not reflect actual enrollment and don't guarantee open seats. When a class fills up, a waiting list will form. More on tuition and scholarships. With a fitness center onsite, our students have no trouble staying active outside the classroom. 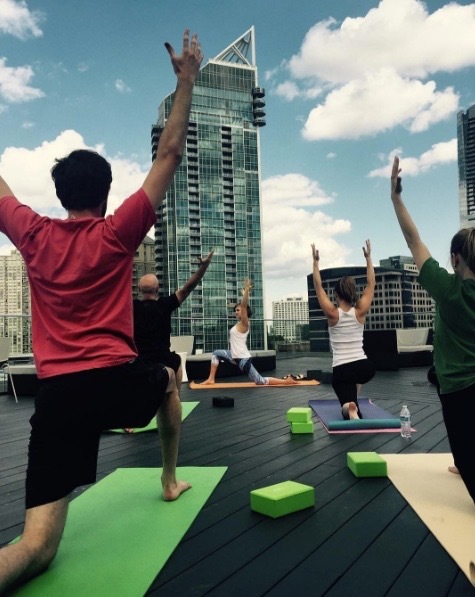 Join the afternoon running club, boxing aerobic class, or the free yoga sessions on the roof! 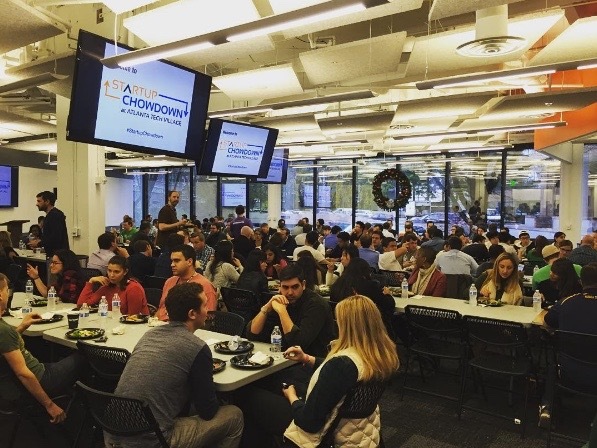 ATV offers every member in the building free lunch every Friday at "Startup Chowdown." Besides the great rotation of catered lunches, this event is an awesome networking opportunity, as the whole building (most of which employ developers) eats together cafeteria-style! Enjoy the best view of the city from our rooftop patio! The roof is a great place to get away for a minute, or it's quite the scene for lunch. 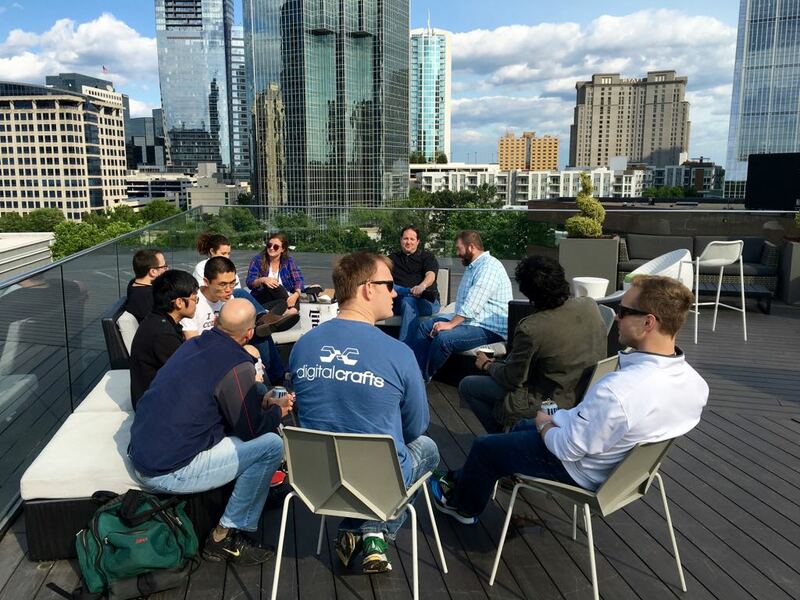 We host occasional happy hour events on the roof as well - join us for the next DigitalDrafts! 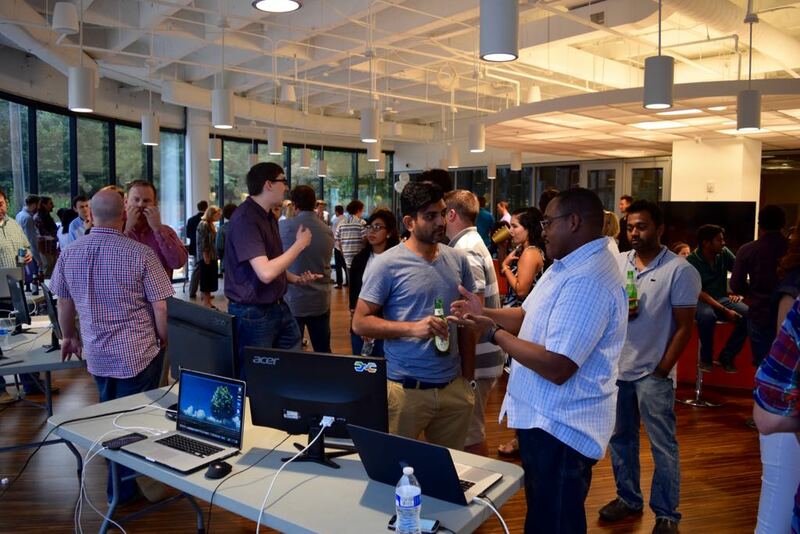 Atlanta Tech Village has over 1000 members and 250 startups calling it home. 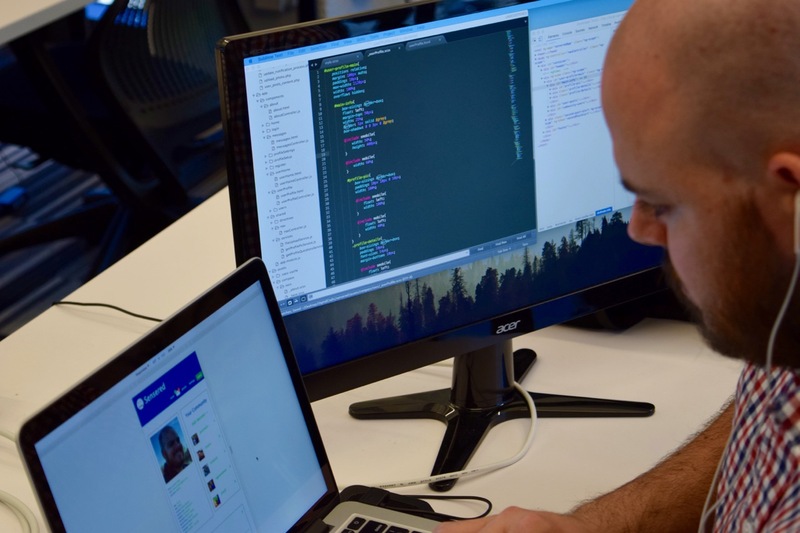 The building 'rule' mandates that at least 80% of tenants must be tech product-focused, which means they employ developers in one way or another. That's why we're here! 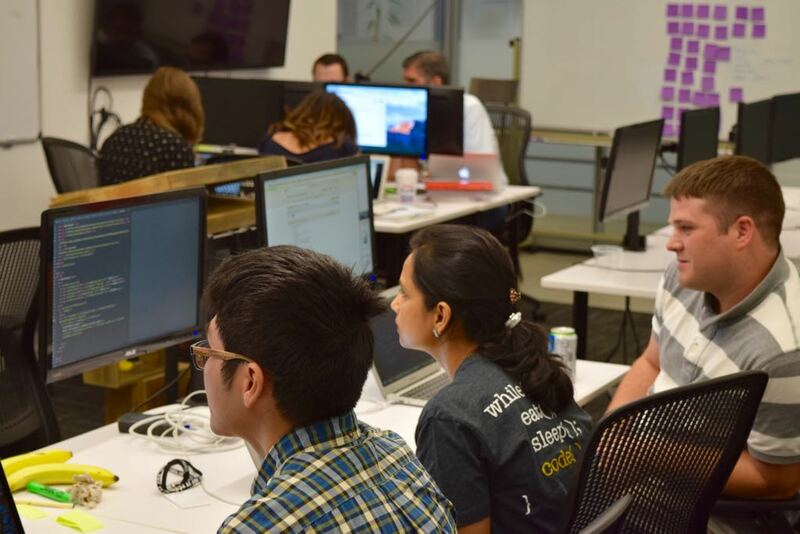 ATV has been home to such success stories as Yik Yak, Salesloft, BitPay, and more! 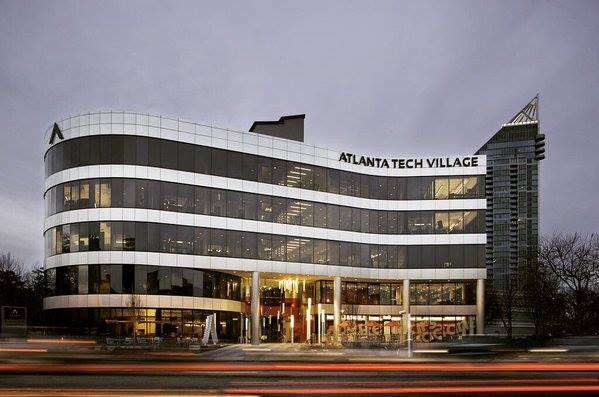 Our campus is in the Atlanta Tech Village. 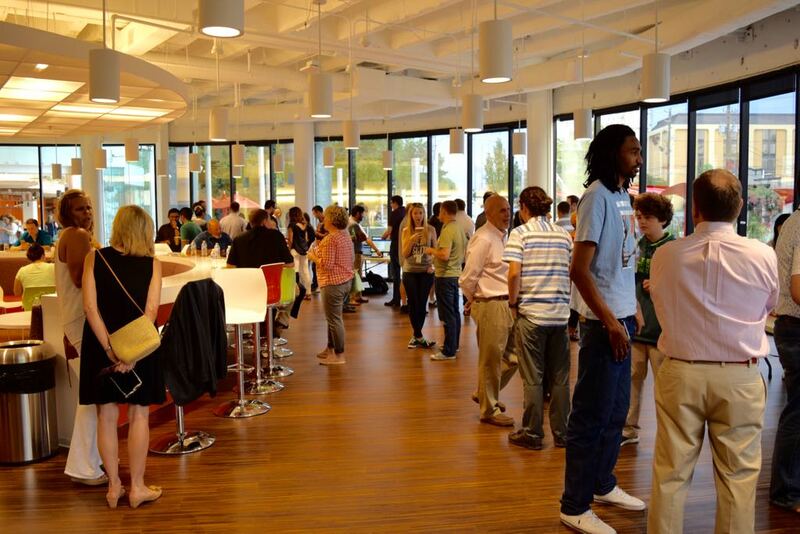 Our awesome campus is on the top floor of the Atlanta Tech Village, just steps from the Buckhead MARTA station. 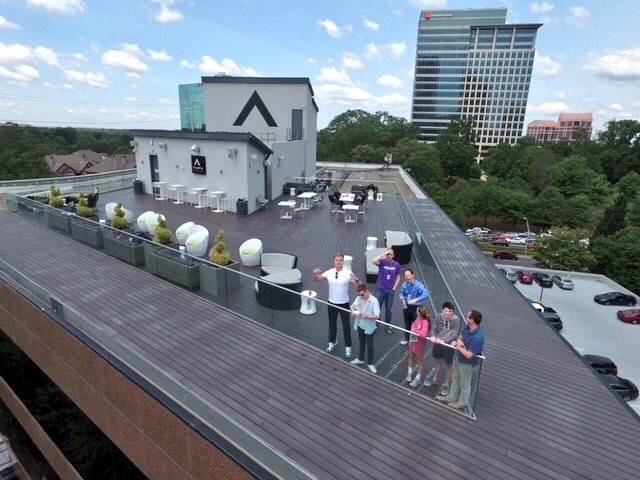 The good folks over at ATV have quickly established the corner of Piedmont and Lenox as the de-facto hub for technology startups and entrepreneurs in Atlanta, and we're proud to be educating the community's next wave of talented software engineers.